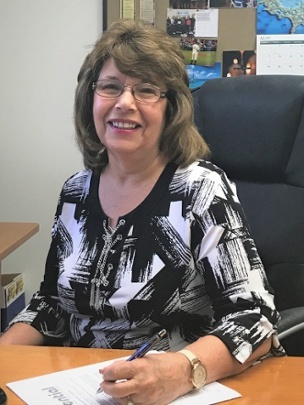 Judy Manahan is company controller here at Essential Systems Solutions andas the Controller and head of the accounting department for the company, Judy Manahan oversees cash management and risk management for the company. She is responsible for the company’s financial statements, payroll, accounts payable, accounts receivable, and budgeting. If you’ve ever met or talked with Judy, one of the first things you’ll notice is that she is committed to this company and making Essential the premier POS technology company on the East Coast. Judy loves her job, but who is the REAL Judy Manahan? We asked Judy 9 questions and this is how she answered. How many children do you have? I have 2 Sons, 3 Step-children, 16 Grandchildren, 3 Great-Grandchildren and 3 more on the way. Where’s your hometown? I was born in Emmitsburg Maryland and I still live in Emmitsburg Maryland today. What are you hobbies? I love cooking for the whole family and working in my flower beds. If you could join any past or current music group which would you want to join? The Beatles!! What’s the most daring thing you’ve ever done? I am not a daredevil, but I have ridden on the back of a Harley! This entry was posted in Articles, Company Culture on May 23, 2017 by WP Dude.